Ever wanted to learn more about the Civil Rights movement in a location that served as the heart of the 1960s’ struggle? Or have an interest in meteorology or geography that doesn’t have an outlet in Middle Tennessee? Thanks to a new program in conjunction with partner universities, Belmont students can spend an entire semester on specifically designed study away programs in the United States, while their peers from other institutions are invited to come to Music City to take advantage of a semester of music business classes in the Curb College. The newly created Signature Experiences program offers domestic study away opportunities that allow students to take advantage of host campuses’ unique locations and expertise to gain real-world experience in a cross-cultural setting. The first Signature Experiences are semester-long offerings in entertainment and music business at Belmont, history of civil rights at Samford University in Birmingham, and two programs – meteorology and geography – at Valparaiso University in Valparaiso, Indiana. The program is the creation of North American Colleges and Universities (NAC&U), a national consortium of selective, small to mid-size independent colleges and universities dedicated to the purposeful integration of liberal education, professional studies and civic engagement. Belmont is one of 25 member institutions in NAC&U. The Signature Experiences offer specific courses and an internship (or other hands-on learning) to ensure that enrichment is meaningful, both for the student’s personal and professional growth. For example, Samford University’s Birmingham Civil Rights Semester allows students to have access to important documents, materials and places that were key to the civil rights movement, helping them to better understand both past and present civil rights issues. Valparaiso University is offering two specialty programs, meteorology and geography. In the first, students can pick from numerous electives, including research and broadcasting, and gain experience in various ways, such as forecasting for the local school district and manning the university TV station’s weather desk. Students in the latter program can earn a Geography Certificate while exploring computer mapping tools and going on excursions to local landform sites. Since Honors program director Dr. Jonathan Thorndike also serves as Belmont’s faculty representative for NAC&U, he’s taken on the role of on campus advisor for Signature Experience students, making the Honors house a home-away-from-home for individuals on the exchange. The four Signature Experiences are additions to the current NAC&U Student Exchange programs which include customizable, flexible domestic study away options at 12 different campuses across the country. Many of these also offer field study, internships and special projects. Student Exchange participating members currently include Arcadia University, Glenside, Penn. ; Drury University, St. Louis, Mo. ; Nazareth College, Rochester, N.Y.; North Central College, Naperville, Ill.; The Sage Colleges, campuses in Albany and Troy, N.Y.; The University of Scranton, Scranton, Penn. ; Wagner College, Staten Island, N.Y.; Westminster College, Salt Lake City, Utah; and Widener University, Chester, Penn. 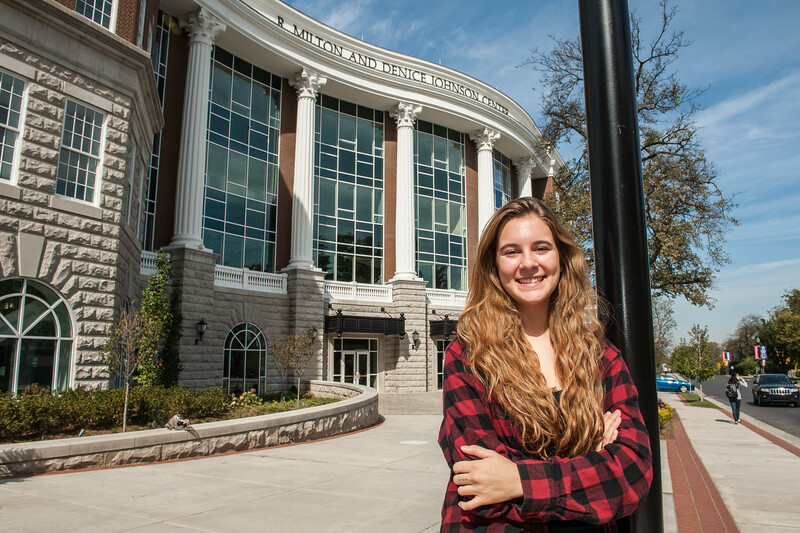 Belmont University, Samford University and Valparaiso University also offer flexible Student Exchange programs. In addition to providing robust opportunities for study, the Student Exchange network simplifies the study away process for students with a streamlined application process and tuition exchange policy. The latter allows students to pay tuition to their home campus while away so that financial aid packages remain intact. Enrollment for all NAC&U Student Exchange programs, including Signature Experiences, is open now for the fall 2016 semester. For more information, please click here.